At Scott’s Travel, in Southgate, we have spent over 80 years providing our clients with the best possible experiences. Working with our trusted travel suppliers we ensure that you can book in confidence in the knowledge that you will experience superior travel. With every eventuality catered for, from the moment you leave your front door, booking your trip of a lifetime couldn’t be easier at Scott’s Travel. Wendy Wu Tours have been showing people the best bits of Vietnam for over 15 years and in that time they have learnt what makes a great tour experience. Combining their own expertise with their customers feedback, they have put together a selection of great value tours of Vietnam visiting popular sites such as the beautiful Halong Bay and historic Hoi An as well as showcasing some of the more authentic experiences of everyday Vietnamese life. Whichever tour you choose, you'll return with memories to last a lifetime. One of our most popular tours, take a voyage of discovery from the breath-taking majesty of the temples of Angkor, through to the spectacular natural grandeur of Halong Bay, experiencing all manner of delights en route. Travel overland through the verdant south of Vietnam – from the riverside life of the Mekong to lush and fresh Dalat, up the beautiful coastline to ancient Hue. 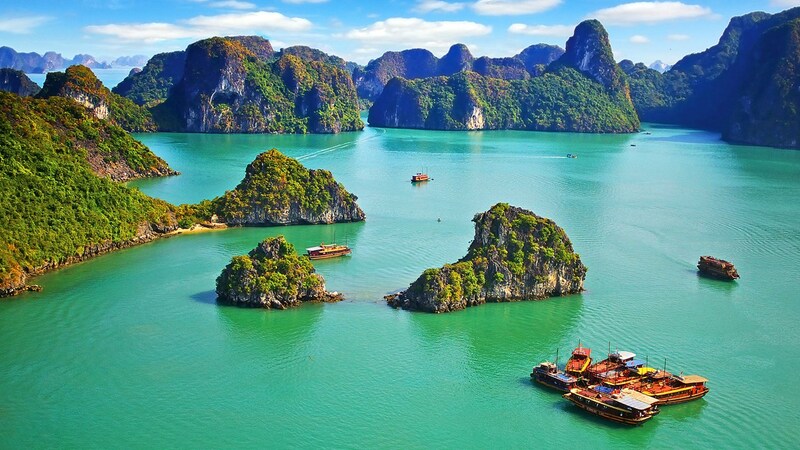 Finish off by exploring colonial Hanoi and cruising on tranquil Halong Bay. Relish Vietnam’s distinct and energetic character as you journey from Saigon in the south up to Hanoi in the north. Explore the country’s turbulent past, meet the friendly, resilient locals, and get lost in spectacular panoramas on this two-week tour of discovery. Discover Vietnam's many gems, from buzzing Saigon to quaint Hoi An to stately Hanoi and magnificent Halong Bay. 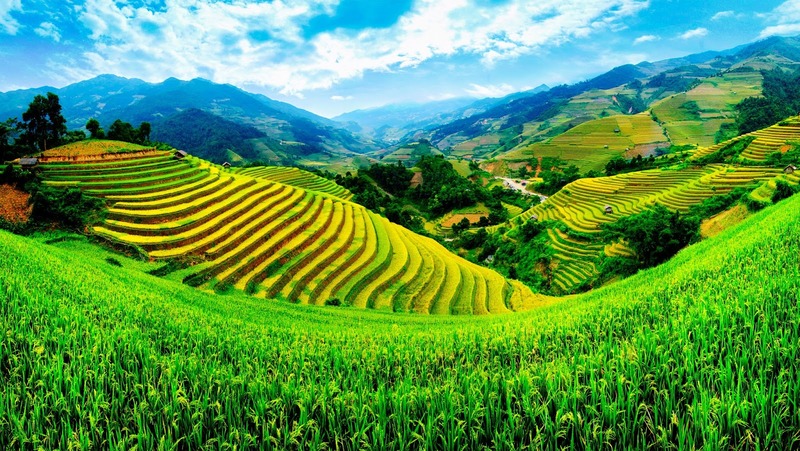 Top this off with an adventure to visit the terraced fields and hilltribes of Sapa, a sea of verdant scenery. 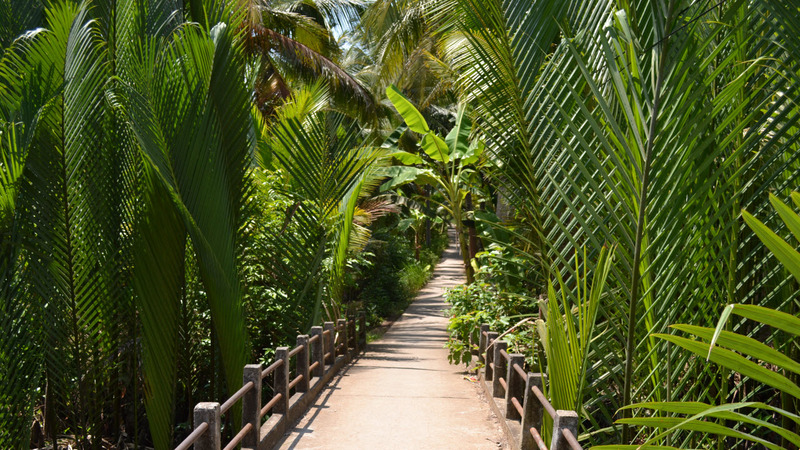 Escape the ordinary and allow the captivating charms of Vietnam to beguile you. Traverse the country from toe to top enjoying the vibrant cities, verdant pastoral panoramas, gentle beach-fringed coastline, and historical treasures en route. o No discount permitted, this includes late, goodwill, repeats and any other promo discount. More great tours available please contact our team on 020 8882 0141.